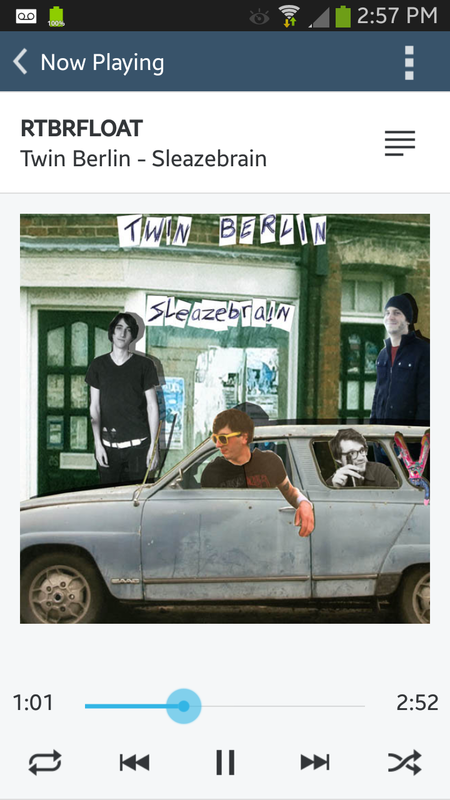 FrostWire now back on Google Play. Not Banned Anymore! Yesterday FrostWire was temporarily removed from the Google Play Store and is now back up after a new stripped down version without YouTube got approved by the Google compliance team. FrostWire.com and other App Stores will still distribute the full featured version, now dubbed FrostWire Plus. 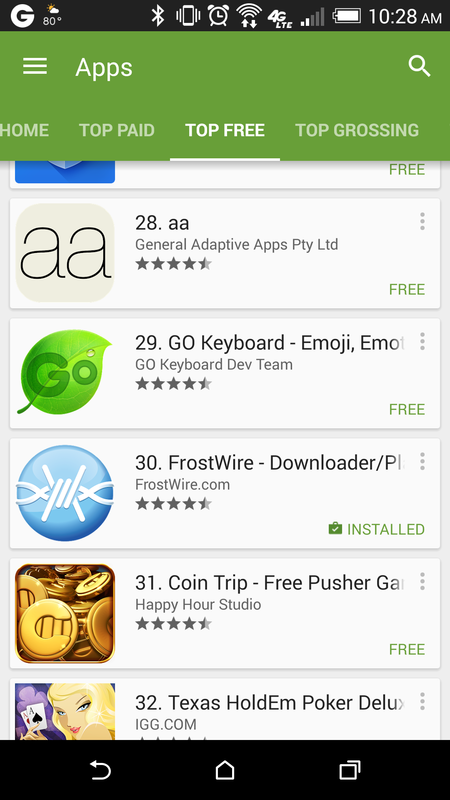 With recent stability fixes FrostWire for Android has climbed all the way up to #30th on the Google Play’s Top Free Android Apps and was holding strong for weeks! Yesterday, April 2nd 2015, after an app review (probably prompted by the spike in user interest and app ratings), Google decided to remove it from the Google Play store. We were informed that FrostWire for Android distributed via Google Play can no longer have YouTube as one of its search result and download sources, as this functionality is not compliant with the YouTube Terms of Service and therefore the Google Play Developer Distribution Agreement. We decided to remove this capability in order to adhere to Google Rules and continue to distribute and market our application on the Google Play Store. Today, after submitting the stripped down FrostWire app, it passed the compliance review and it is back on the Google Play store. It took a little more than a day but we are happy to be back! Users downloading FrostWire from the Google Play store will receive the basic app version without YouTube as one of the search sources. All other features will not be affected. Depending on what keywords a user enters, he or she might get slightly less search results and therefore options for files to download. We are already working on including more search sources, both BitTorrent and cloud based to offset the loss of YouTube content and will be still offering the full version – now named FrostWire Plus, on our homepage and in other App Stores. FrostWire for Android 1.1.2 build 98 is now available for beta testers via Google Play. – Removed offers during installation to comply with new Google Play guidelines. – New: Stop music playback completely by long pressing the play/pause button. you don’t like on your device next time you come across them and keep playing. used constantly to discover and announce to other peers on the local network. – Sources on search results are now underlined to hint user of sourc checking feature. – Fixes issues parsing some YouTube urls.